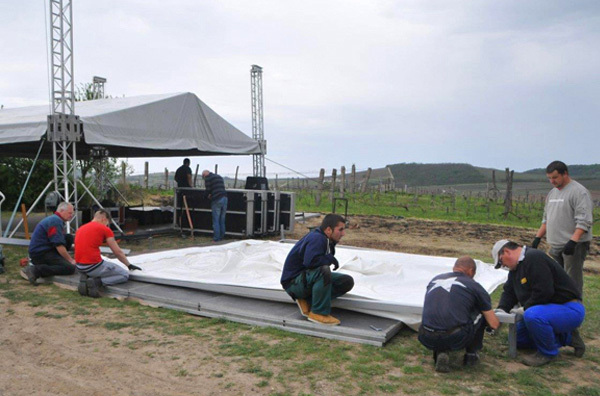 The small town of Kerestir, Hungary becomes the focal point of an annual pilgrimage of thousands of followers and descendants of the town’s most famous resident, Reb Shaya’le of Kerestir. Everyone wants to connect to the Tzadik and latch on to his merit on this most auspicious day, the anniversary of his passing on the 3rd of Iyar. 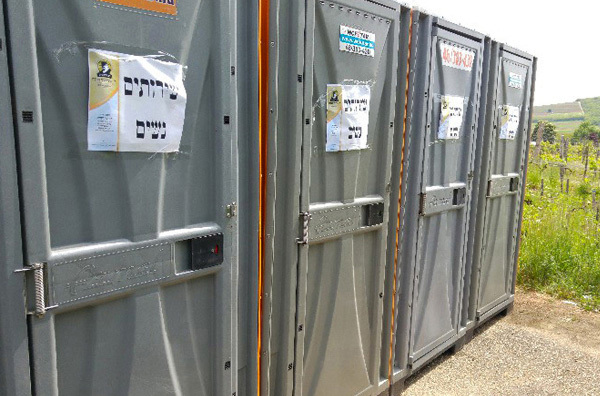 As the organization that carries on the Tzadik’s legacy, RavLehoshia is intimately involved in the extensive preparations as well as all of the activities in Kerestir on the day of the Tzadik’s Yahrtzeit. We arrive early to hang up signs all over town directing visitors to the hallowed site of the Tzadik’s kever. 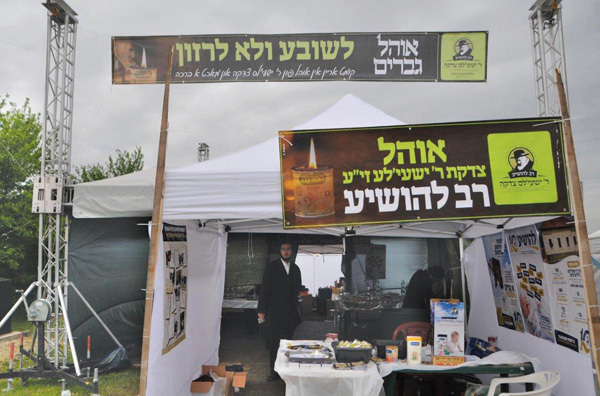 We also erect a tent alongside the kever where we offer coffee, cookies and soft drinks to all. Last year we distributed thousands of booklets providing visitors with detailed information regarding Kerestir and its surroundings, including the addresses and directions or various Jewish cemeteries in the area as well as the phone numbers of the keepers of these sites. Rav Lehoshia prefers to avoid publicity and strictly guards the privacy and dignity of our recipients. Nevertheless, our Rabbonim approved this brief clip to show our sponsors what goes on at Rav Lehoshia and how much of a difference your donation makes.